After the success of the September cooking demo, acclaimed chef Marcus Samuelsson is returning to Bermuda for a second live cooking demo at Hamilton Princess on Friday, November 6 from 4:00pm to 5:30pm. The three-course tasting will feature Harlem meets Bermuda Chowder with Marcus and pasta making with Executive Chef Leonardo Marino. It will include a glass of wine and dessert. “I always have such a great time meeting locals in Bermuda, many who share my passion for good food and cooking,” said Marcus Samuelsson. 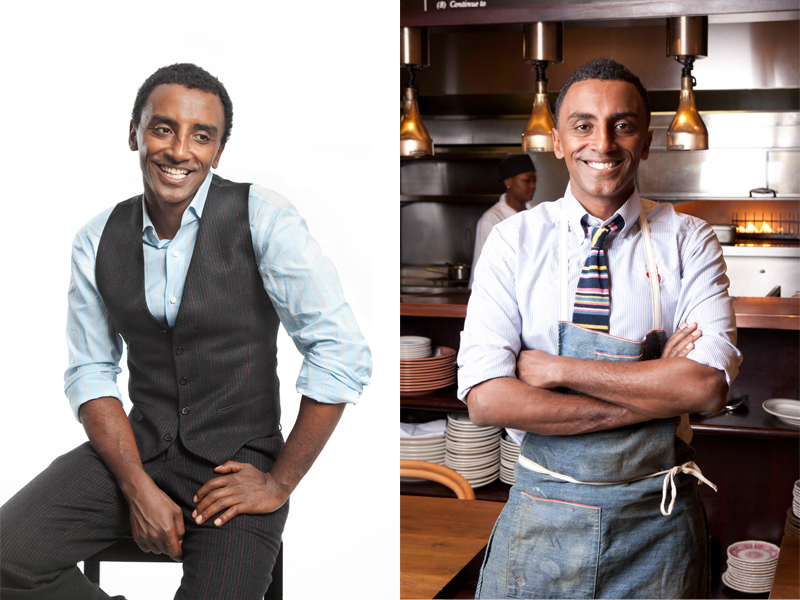 “It is our pleasure to welcome Marcus Samuelsson back for another cooking demonstration. Last month’s event was a big success and we’re pleased to offer residents with another interactive, fun opportunity at Marcus’,” said Allan Federer, general manager, Hamilton Princess, Bermuda. Earlier in the day, a private children’s demonstration, “Thanksgiving with Marcus”, will take place for 30 children from Bermuda Education Network’s Horizon Program. Two young Bermudian chefs, Micah O’Brien and Jai Trott, will be assisting with this demonstration. The three-course cooking demonstration will take place in the Hamilton Princess’s HarbourView ballroom. Tickets are $75 and can be purchased at here. Seating is limited.